These are challenging times for Hispanics around the world, both in the countries of origin as well as the host countries of migrants. It is important, more than ever to be organized, communicate effectively, generate research, and increase mental health literacy. 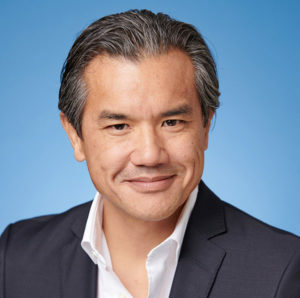 It is our responsibility to contribute to the development of appropriate standards of care, effective forms of recognition and prevention of mental illness, and the provision of tolerable and accessible treatments. This is why I begin this two-year term as President of the American Society of Hispanic Psychiatry with a great sense of satisfaction and commitment. I cherish this outstanding opportunity to serve side-by-side with my fellow psychiatrists, psychologists, therapists, social workers, nurses, and particularly those who are currently training to become one of these professionals. I will work to make sure that our society continues to be the best option for clinicians, researchers, professors, and especially students of all disciplines involved in the provision of care to our Hispanic population in the United States and abroad. 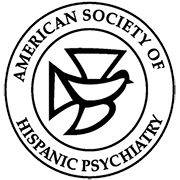 It is my goal for the American Society of Hispanic Psychiatry to be the one hub where knowledge can be shared and exchanged, where members will find the mentoring, feedback, and support to improve the mental health of Hispanics. As well as, the place where you will find resonance to your daily efforts, knowing that you will be part of a society that for decades has procured the psychiatric well-being of Hispanics around the world.